"We welcome this move," Thomas Abraham, chairman of the Global Organization of People of Indian Origin (GOPIO) said. It was suggested that Overseas Citizen of Indian should be upgraded to Dual nationality. Washington: The large non-resident Indian community in the US has welcomed the recent decision of the Union Cabinet to extend proxy voting to overseas Indians. Still an Indian citizen, despite having obtained a green card for more than four decades now, Mr Abraham said the decision of the Indian government in this regard is a dream come true for people like him and many others. 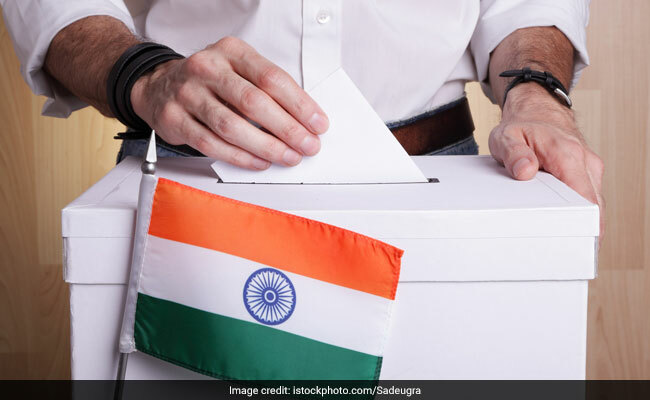 The Election Commission of India (EC) estimates that there are about 16 million Indian citizens living outside of which about 70 per cent are eligible to vote. While the significant portion of them are in the Middle east, in the US the estimate range from 800,000 to 1.5 million. An overwhelming majority of them are young, either university students or those on H-1B visas. "This is a very good move. But I have to figure it out, what is the process," said Sanjay Singh, a doctoral student at the University of Maryland, College Pak Campus, which is in one of the suburbs of Washington DC. Having come to know about it through online and social media, Singh was of the view that this move would be put to best use only if NRIs are allowed online voting. "This is not the case right now," said E M Stephen, founder president of Kerala Center in New York. "There is a very high chance of proxy voting being misused. It could be up for sake too," said Stephen, who has retained his Indian citizenship despite being a green card holder for more than four decades now. Senior Election Commission of India recently interacted with eminent Indian American community leaders in New York and Washington. Officials present in the meeting said the feedback was very positive, but many of them did had questions on the process. The delegation was led by Senior Deputy Election Commissioner Umesh Sinha and Deputy Election Commissioner Sandeep Saxena. Participants in these meetings welcomed the effort from EC and agreed to publicise and reach out to the Indian citizens to register for voting, GOPIO said in a statement. Notably GOPIO had passed a resolution in this regard way back in 1989. Community leaders like Stephen favoured in person voting at Indian diplomatic missions abroad, so as to prevent misuse of proxy voting. However, election commission officials noted that such a move could have logistical problem. But they assured Indian Americans that they would discuss their feedback and concerns with their senior leadership. "We would prefer direct voting, instead of proxy voting. We think, we can find ways to have secure voting process through IT. This is possible," Abraham asserted ruing that absence of a process for the NRIs to vote is violation of constitutional rights of those Indian citizens living overseas. Many present at these meetings also voiced their opinion that Overseas Citizen of Indian (OCI) should be upgraded to Dual nationality. GOPIO has also suggested that a proper representation must be provided to NRIs in the Indian Parliament. "One option could be by abolishing the reserved seats for Anglo Indians since they are already well integrated settled in the Indian society and those seats are reserved for the unrepresented Indian citizens living outside India," Mr Abraham said. NRI voting had been one of the electoral promise of the BJP, which in the 2014 general election experienced outpouring of support from the overseas Indian community, both in finding and manpower. During the previous UPA regime, NRIs were allowed to vote, but they were required to be physically present to exercise their right to vote.